Background: Tumor associated antigens can be viably used to enhance host immune response. Objectives: The immunomodulatory effect of biogenic selenium nanoparticles (SeNPs) was compared between treated and untreated mice with crude antigens of 4T1 cells. Materials and Methods: Female inbred BALB/c mice (60) were injected by cancinogenic 4T1 cells causing breast cancer. After 10 days, all tumor bearing mice were divided into 4 groups. Group 1 was daily provided oral PBS and injected by the same buffer after tumor induction and was considered as control. Group 2 received only 100 mg/day SeNPs as an oral supplement for 30 days. Group 3 was only injected with 4T1 cells crude antigens with nil supplementation of SeNPs. Group 4 animals were supplemented 100 mg/day SeNPs for 30 days and simultaneously injected with crude antigens of 4T1 cells. All antigens or PBS injections were introduced at 7, 14 and 28 days following tumor induction. Oral PBS and SeNPs supplementation initiated from the first day of tumor induction and continued up to 30 days. During tumor growth, animal weights and survival rates were monitored and at the end of the study the concentrations of different cytokines and DTH responses were measured. Results: Data clearly showed that the levels of cellular immunomodulatory components (granzyme B, IL-12, IFN-g, and IL-2) significantly increased (P < 0.05) in mice treated with both SeNPs and crude antigens of 4T1 cells in comparison to the other groups. In contrast, the levels of TGF-b in these mice decreased. Conclusions: Although SeNPs showed a noticeable boosting effect for the immune response in mice bearing tumor exposed to crude antigens of 4T1 cells, further complementary studies seem to be inevitable. In medical perspective, the development of a successful treatment regimen for late-stage cancers is difficult to achieve. However, the role of immune modulation during tumor growth is a topic of great interest among tumor immunologists. This strategy has increasingly been applied in the field of cancer therapy over the last decades (1, 2). Immune modulation is also considered as an adjuvant therapy and several studies have demonstrated the benefits of this strategy for cancer treatment (3). The concept that vaccination against tumors can prime the therapeutic immune responses is the foundation of several clinical studies (4, 5). Several kinds of cancer vaccines have been commercialized (5). Amongst which tumor associated antigens (TAAs) are more common, particularly against solid tumors (6). Non-specific TAAs that do not belong to one type of tumor alone promote the immune response to combat different malignancies (6). Tumor antigens, when injected into a patient, are expected to be engulfed by tissue resident dendritic cells, presented by human leukocyte antigen (HLA) class two or one (4) that consequently are being recognized by specific T lymphocytes. It is worth stating that many tumors are not typically immunogenic, developing in silence within the body, and are not being recognized by immune system (2) On the contrary, many others are being considered as antigen presenting cells (APCs), inducing immunogenic response. Administration of trace element may help immune system to be more powerful to protect body from foreign attack and/or cancer. Selenium (Se), an essential micronutrient element, prevents the malignant transformation of normal cells and the activation of oncogenes with anti-carcinogenic effects within a physiological dosage range (7, 8). Consumption of Se affects the development and expression of nonspecific, humoral, and cell-mediated immune responses. Low dose supplements of Se appears to result in augmentation or restoration of immunogenic functions (9). Different versions of Se, in organic or inorganic forms, have been used for oral supplementation with different health benefits (8). Elemental Se in the Se0 state is an insoluble metalloid compound that can be chemically or biologically produced at nano-scales (10). The toxicity of elemental Se at nano scale is reported to be lower than selenate (Se2+) or selenite (Se4+) ions (11). Moreover, the biological properties of these nanoparticles (NPs) are reported to be similar to Se ions at even lower doses (12). Considering these properties, selenium nanoparticles (SeNPs) could be considered as an appropriate candidate to replace other forms of Se in nutritional supplements or pharmaceutical products that have gained some attention in recent years (13). We previously demonstrated that SeNPs exhibit a preventive effect in oral supplementation among tumor bearing mice (13). In our previous studies, SeNPs were administered to the mice 2 weeks before the tumor challenge, which can be considered as a preventive modality for cancer treatment. In the present work, the effects of oral supplementation of SeNPs, with or without the injection of crude antigens of 4T1 cell were investigated in breast tumor in mice model following tumor induction. In the present research, the immunomodulatory effect of biogenic selenium nanoparticles (SeNPs) on the breast cancer bearing mice treatedmice treated and untreated with 4T1with 4T1 cells crude antigens was studied and compared. Female inbred BALB/c mice (60), 6-8 weeks old (25 and 30 g) were purchased from the Pasture Institute (Tehran, Iran) and subjected to breast cancer induction. 4T1 cells (ATCC CRL-2539) were cultured in RPMI (Gibco, Germany) under standard conditions. 4T1 cells (1×106 cells/ml) in 200 mL of RPMI were injected in the right side flank of inbred BALB/C mice. The mice were monitored until a tumor nodule was observed. All breast cancer bearing mice were divided into four groups of control and tests, each containing 15 mice. The mice were maintained in clean plastic cages, with free access to water and standard mice pellet food. The light and dark cycle was controlled as 12:12 h. The temperature and humidity were regulated at 23 ± 1ºC and 55±10%, respectively. A previously isolated Lactobacillus bervis was used for the preparation of SeNPs during the current study (14). It was cultivated in 100 mL of DeMan-Rogosa-Sharpe (MRS) broth (Merck, Germany) and incubated 16h at 37ºC. Selenium oxide solution (1 mL of 200 mg.L-1; Sigma, Germany) was added to 100 mL of Lactobacillus broth culture and incubated atincubated at 37°C for C for an additional 72 h. Later, the culture medium was centrifuged at 4000 ×g for 15 min; the resulting pellet was washed three times with phosphate buffer saline (PBS) under sterile conditions, and applied for SeNP extraction (15). Briefly, the red color of the precipitated bacterial pellet served as an indicator that the bacteria have reduced the Se4+ ions to SeNPs. The pellets were snap-frozen in liquid N2 and cells were disrupted by a mortar and pestle. Finally, the SeNPs were isolated from cell debris by using n-octyl alcohol water extraction system (15). A stock solution of purified SeNPs (100 mg.mL-1), assessed by scanning electron microscope (VEGATESCAN-XMU, Tescan Orsay holding, PA, U.S.A), was prepared and preserved at 4ºC. Group 1 was daily administered oral PBS and the PBS buffer (100 mL) was injected subcutaneously (SC) at different intervals (7, 14, 28 days) following tumor induction; this group was considered as the control group. Group 2 received only SeNPs (100 mg/day) as an oral supplement. Group 3 only received injections of the 4T1 cells crude antigens at the same scheduled time as the controls with nil oral supplementation of SeNPs. In Group 4, the animals were supplemented with SeNPs at its sub-IC50 level (100 mg/day) and injected with 4T1 cell crude antigens at different intervals (7, 14, 28 days). All oral SeNPs and PBS supplementation were initiated from the first day of tumor induction and continued for 30 days, and all antigens or PBS injections were conducted subcutaneously. Tumor growth was monitored twice a week using the caliper measurement. The volume was determined by the formula: V = 0.5 ´ d2 ´ D (17), where V is the tumor volume (mm3), d is the shorter diameter and D is the longer diameter of tumor mass. In order to monitor the body weight of tumor bearing mice, weight of all mice in each group were recorded twice a week. Monitoring started after 2 weeks of tumor cell injection when the tumor became palpable and continued till termination of the study (last 15 days of the study). The final weights were subtracted from the initial readings. DTH response was estimated according to Jin et al. (18). Briefly, seven mice from each group were challenged 30 days after tumor cell injection, with the tumor antigen in the left footpad and with PBS in the right footpad. Footpads induration was measured every 24 h following tumor antigen re-challenge to 72 h later, by caliper measurement. Blood was collected from the mouse heart under deep anesthesia. Serum samples were prepared by keeping the blood 16h at 4ºC. Blood cells were coagulated and the serum was separated by centrifugation (15 min, 1500 rpm); the serum was transferred to a new micro tube from the bottom of each sample tube and subjected to a cytokine assay by sandwich ELISA (19) (Mabtech, Sweden). Following blood sample collection, the mice were sacrificed by cervical dislocation and their tumors were excised for histopathological analysis. Tumor tissues were first fixed in 10% formalin and PBS, and prepared in embedded paraffin, cut into 3-5 μm thick sections. The sections were stained with hematoxylin eosin for pathological analysis and especially for tumor necrosis, inflammation and neutrophil migration, and examined at 200 and 400 × magnification. At the end of the study period (30 days after 4T1 cell-crude antigens injection), seven mice from each group were maintained under standard conditions and fed a standard diet with free access to water, and a 12:12 h light/dark cycle, until they died. Daily death was recorded and after the last death in the control group, data were analyzed by Kaplan-Meier test; the mice that survived (i.e. last death in control) in group 4 were tumor-free. Statistical analyses were performed with SPSS 17.0,17.0; using two-way repeated measures ANOVA post hoc test for tumor related volume, and DTH measurement. The survival rate data were analyzed by Kaplan-Meier test. The values were reported as mean ± SD. The Ethics Committee of Tehran University of Medical Sciences approved all the experimental procedures involving animals. The results of tumor measurement showed a significant decrease in the growth rate of tumors in mice that were treated with SeNPs and injected by the 4T1 cells-crude antigens, in comparison to the control mice. This result was analyzed by the two-way repeated measures ANOVA post hoc test, wherein the tumor size and the time of measurement were considered as contributing factors; a significant difference between groups 1 and 4 was observed only at the last time point of measurement (Figure 1). As depicted in (Figure 2), the weight profile of mice in the last 15 days of the study, the weight of mice that received both 4T1 cell-crude antigens and SeNPs (group 4) have increased, while the control mice demonstrated a significant weight loss. To evaluate the antigen-specific T helper 1 (Th1) recalling response, DTH response was measured in the tumor antigen re-challenged mice. The mice were challenged with tumor antigen in the left footpad and with PBS in the right footpad, 30 days after tumor induction. The results showed a significant increase (P < 0.05) in the swelling and induration of the left footpad among the mice that received both 4T1 cell antigens and SeNPs in comparison to the control group. Similar to the related tumor volume test, this result also was analyzed by two-way repeated measure ANOVA post hoc test, with the time and the size of footpad as the contributing factors. A significant difference between groups 1 and 4 was observed only at the 24, 48 h measurements (Figure 3). At day 30 after tumor induction, eight serum samples from each control and test groups were prepared to assay the level of cytokines IFN-g, IL2, IL-12, TGF-b and granzyme B by the sandwich ELISA method. Our results showed an increase in the level of IFN-g, IL2, IL-12 and granzyme B in the mice that received 4T1 cell crude antigens and SeNPs together, while the level of TGF-b in these mice decreased (Figures 4-6). Additionally, a considerable increase in the ratio of IFN-g to IL-4 in this group was observed (around 4-fold), which is indicative of a Th1 type of immune response (Figure 5A). Even, in the case of TGF-b and granzyme B, the mice that received SeNPs alone also showed some change, but not the same as mice that received both 4T1 cell crude antigens and SeNPs (group 4) (Figures 5B and 6B). As seen in Figure 7, poly-morpho nuclear cells (PMNs) as well as neutrophil migration into tumor tissue resulted in tumor inflammation and necrosis in the mice of group 4 (Figure 5A and B). Besides, a decrease in the vascular metastasis of tumor cells in these mice (Figure 5E and F) implied an anti-metastatic effect of SeNPs. The anti-metastatic effect of SeNPs administration was as well confirmed by the decrease in the level of TGF-b in the serum samples of these mice (Figure 5B). The vast necrosis in the tumor tissue of the mice of group 4 and naive tumor in the control group are also shown in Figure 7C and D, respectively. The result of survival analysis indicated a significant decrease in the mortality rate of group 4 treated with 4T1 cell-crude antigens plus SeNPs in comparison to other groups (Figure 8). However, one mouse of group 4, treated with both, the 4T1 cell-crude antigens and SeNPs, survived 120 days after tumor induction. An improved immune response by the body to recognize and efficiently eliminate tumor cells is a long-standing goal of cancer research. We have previously observed that supplementation with biogenic SeNPs induces the Th1 type of immune response, which delays the progression of breast cancer and expands the life span of tumor bearing mice (13). In the present research, the effect of biogenic SeNPs administration along with the 4T1 cell-crude antigens injection were studied after tumor challenge, in order to induce therapeutic effects. It is important to note here; that when a tumor emerges in the body, the treatment is not easily achieved, especially without any anticancer drug. Therefore, application of any approach with therapeutic potential and without side effects improve the efficacy of the ordinary chemotherapeutic regime. As it is widely accepted, immune responses have a crucial role against cancer in particular, with an ability to distinguish between self-non-cancerous cells and their malignant counterparts. In this regard, cytotoxic T lymphocytes (CTLs) play a central role in the immunosurveillance and clearance of both intracellular pathogens and malignant cells (20, 21). On the other hand, Th1 cells play a critical role in the immune system’s challenge with tumors (22). Some studies also indicated the importance of dendritic cells (DCs) as APC for presenting tumor antigens to CTLs or CD4+ T cells (23). DCs act as messengers between the innate and adaptive immunity by producing some critical cytokines (24). One of the major products of DCs, especially when processing and presenting tumor antigens, is IL-12, which has the ability to shift the immune responses to Th1-type (25). In the present work, a significant increase (P < 0.05) in the level of IL-12 (Figure 4B) in group 4 treated mice was observed in comparison to the PBS control mice; thus it might be concluded that the administration of SeNPs in mice enables the DCs to produce IL-12 following an interaction with the tumor antigens. Although, it should not be ignored that DCs are not the only source of IL-12 in the body, it is well established that an increase in the level of IL-12 has impacts on the orchestration of this type of immune response (Th1) that is essential against tumors (26). Besides IL-12, a significant increase (P < 0.05) in the level of IFN-γ in mice (Figure 4A) that received both 4T1 cell-crude antigen and SeNPs (group 4) compared with PBS control may also indicate the probable role of Th1 cells to attack tumor cells and delay tumor development; specifically, the ratio of IFN-g to IL-4 in these mice (Figure 5A) shows a considerable increase in comparison to other groups. IFN-γ is another Th1 cytokine demonstrated to play a crucial role in the immune response against different tumors (27-29). As mentioned earlier, CTLs are involved in the response to tumors. CTLs recognize the tumor antigens using major histocompatibility complex (MHC) class one and destroy the malignant cells by secreting the perforin/granzyme or FAS/FAS ligand signaling (30). Based on the result of granzyme B measurement in the serum of tumor-bearing mice in this research, an increased expression of this cytotoxicity mediator in group 4 mice in comparison to other groups, may display the involvement of CTLs against tumor following the administration of SeNPs. TGF-b is known to suppress the immune response in tumors (31). In normal cells, activation of the TGF-b signaling pathway induces a G1-arrest in the cell cycle. This event can stop cell proliferation and lead to cell differentiation. In contrast, when the emergence of a tumor and cancer generation, parts of the TGF-b signaling pathway are mutated and TGF-b no longer controls the cells; rather under these conditions, TGF-b causes immunosuppression and angiogenesis, which makes the cancer more invasive (32). Considering the significant decrease (P < 0.05) in the level of TGF-b, in addition to the increased IFN-g and IL-12 levels in group 4 mice, the probable involvement of more efficient cell-mediated immune responses against tumors (with Th1 bias) can be emphasized. TGF-b also plays a role in tumor angiogenesis and in tumor metastasis; therefore a decrease in the level of this cytokine could result in the reduced tumor metastasis as was demonstrated in the present research with group 4 mice (Figure 7E and F). DTH, another hallmark of the Th1 response, is usually monitored in the field of tumor immunotherapy (33). Moreover, CD4+ helper T cells and macrophages are involved in and secrete IL-12, IL-2 and IFN-g in the DTH immune response (34). In our study, the group 4 mice showed a significant increase in the DTH response (P < 0.05) (Figure 3), and likewise an increase in the level of IL-2 (Figure 6A); thus it can be deduced that SeNPs and 4T1 antigen administration induces an immune response through the cell mediated branch of the immune system or a Th1-type of immunity. It has recently been observed that the biogenic SeNPs administration leads to an increase in the amount of neutrophil cells in normal mice (35, 36). With respect to the role of neutrophils in initiating the inflammation and immune response and their migration to the site of immune challenge as a first defense line, in addition to the results of the histopathological analysis in this work (Figure 7A and B), it can be acknowledged that SeNPs administration to tumor-bearing mice can also help the innate immunity to inhibit tumor development. A previous study examining the role of SeNPs-enriched Lactobaccilus and Lactobaccilus alone in stimulating the immune response of tumor-bearing mice, demonstrated a more powerful response of the SeNPs-enriched Lactobacillus group (14). Thus we can safely conclude that biogenic SeNPs demonstrate the greater potential to trigger an immune response, which may be as a result of their source of production. The main difference between SeNPs produced by Lactobacillus and chemically produced SeNPs is associated with their surface chemistry. In this regard, some of the bacterial components such as pathogen associated molecules can accompany biogenic SeNPs to enhance their immunomodualtory effect. In conclusion, supplementation with SeNPs may have the ability to trigger an effective immune response against tumors, although regarding to the many current therapeutic strategies for cancer treatment, there is still a long way ahead to study the combined effect of this supplementation along with routine anticancer drugs or other therapeutic approaches like radiotherapy. 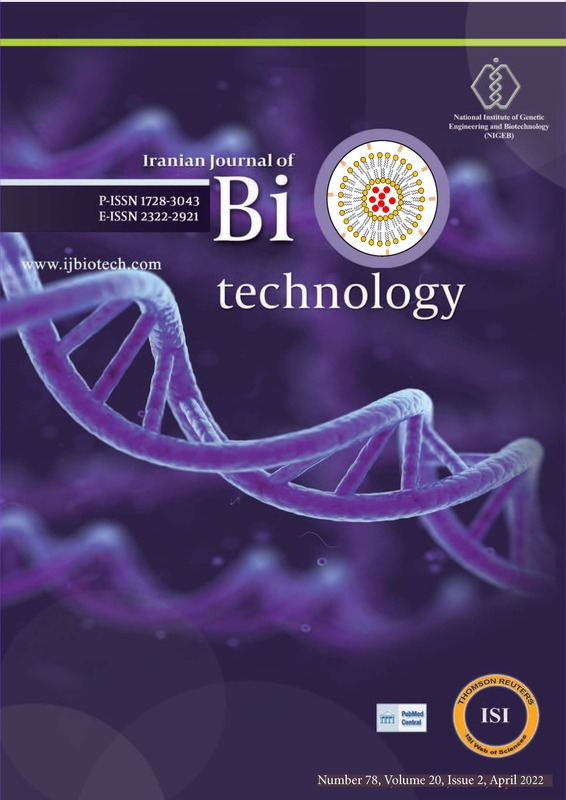 This work was supported by the Deputy of Research, Tehran University of Medical Sciences (grant No. 16907), Tehran, Iran. The authors have no conflict of interest to declare. This work was supported by the Deputy of Research, Tehran University of Medical Sciences (grant No. 16907), Tehran, Iran. 2. Motta G, Cea M, Carbone F, Augusti V, Moran E, Patrone F, Nencioni A. Current standards and future strategies in immunochemotherapy of non-Hodgkin’s lymphoma. J Buon. 2011;16:9-15. 5. Livingston P. The unfulfilled promise of melanoma vaccines. Clin Cancer Res. 2001;7:1837-1838. 6. Brossart P, Stuhler G, Flad T, Stevanovic S, Rammensee HG, Kanz L, Brugger W. Her-2/neu-derived peptides are tumor-associated antigens expressed by human renal cell and colon carcinoma lines and are recognized by in vitro induced specific cytotoxic T lymphocytes. Cancer Res. 1998;8:732-736. 16. Ernst O, Zor T. Linearization of the Bradford protein assay. J Vis Exp. 2010;12:38. DOI: 10.3791/1918. 17. Attia M, Weiss DW. Immunology of spontaneous mammary carcinomas in mice. Acquired tumour resistance and enhancement in strain mice infected with mammary tumour virus. Cancer Res. 1996;126:1787-1792. 19. Argmann CA, Auwerx J. Collection of blood and plasma from the mouse. Curr Protoc Mol Biol. 2006;Chapter 29:Unit 29A.3. DOI: 10.1002/0471142727. 36. Yazdi, MH, Masoudifar M, Varastehmoradi B, Mohammadi E, Kheradmand E, Homayouni S, Shahverdi AR. Effect of oral supplementation of biogenic selenium nanoparticles on white blood cell profile of BALB/c mice and mice exposed to X-ray radiation. Aviccena J Med Biotechnol. 2013;5:158-167.